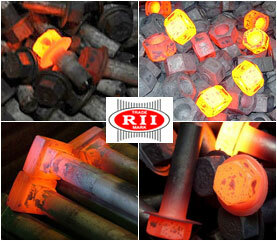 We export forging components to more than 65 Countries Worldwide. We possess a sound high tensile fasteners manufacturing infrastructure equipped with world class facilities. Our production unit backed by hi-tech machines and latest technology to keep abreast with the changing industry trends. 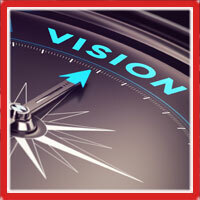 Our research and development team is involved in product development and product innovation. 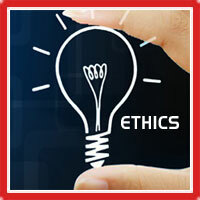 Rattan Industries (India) is and ISO 9001:2015 certified company. Quality has been a area of core significance to our entire precision fasteners manufacturing and hot forging products operations. Our all manufacturing operations from raw materials to the production, packaging and shipping, ensures the highest standards. 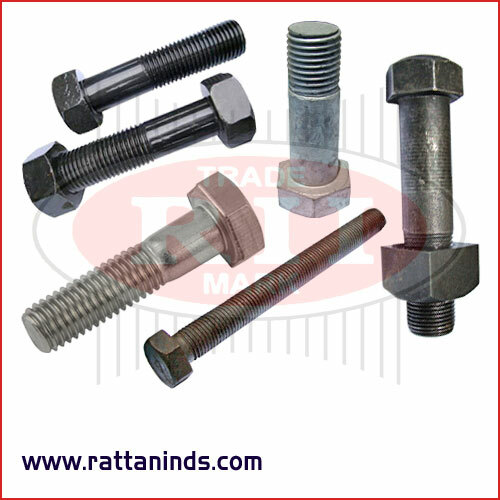 Rattan Industries (India) is exporting all types of Fasteners to many countries around the world. Our major export market countries are UK, USA, Canada, Belgium, Denmark, Dubai, France, Germany, Kenya, Ireland, Italy, Spain, Netherland, New Zealand, Norway, Saudi Arabia, Sri Lanka, Sweden, Bangladesh etc. 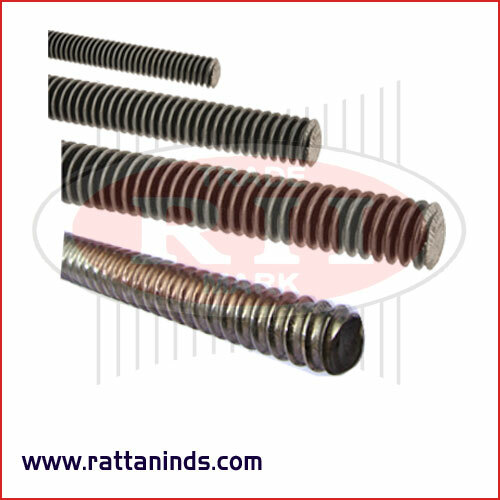 Our wide ranging experience in fastener manufacturing & expertise spanning several fastener industries like Railway Fasteners, Automobile Fasteners, Forged Agriculture Components, Forging Tractor Parts, Wind Mill Fasteners, Road Crash Barrier Fasteners, Steel Structure High Tensile Fasteners, Hot Dip Galvanized Fasteners, Forging Components, Transmission Line Fasteners, Tractor Parts, Form Work Accessories, Hot Forged Products like Hex Nuts, Hex Bolts, Wheel Bolts, T-Bolts, Eye Bolts, J-Bolts, L-Bolts, U-Bolts, Forged Scaffolding, Formwork Accessories & Couplers etc. We have the capability to undertake the design and development of mechanical components to cater to the changing needs of customers. 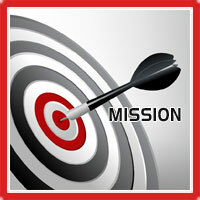 We meet the unique application demands of our customers with our high quality range of products. 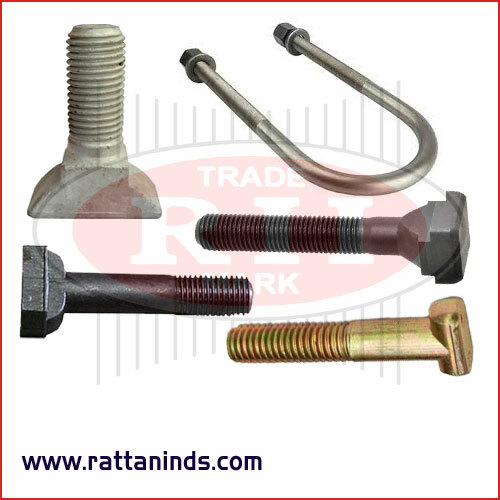 We are manufacturer & Exporter of Anchor Studs, Fish Plate Bolts, m20 half round bolts, Railway Sleeper Bolts, Square Head Bolts, Railway Track Components, Railway Track Fittings, Screw & Spike, rail anchor bolt, clip bolt, T Bolts, Slotted Bolts etc. 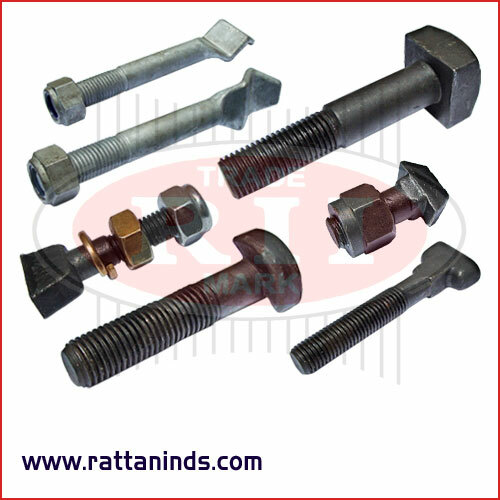 we are manufacturing and exporting a wide range of t-bolts, t-head bolts, stainless steel t-head bolts, carbon steel t-head bolts, alloy steel t-head bolts, Railway Fasteners T Bolts etc. An anchor bolt is used to attach objects or structures to concrete. There are many types of anchor bolts. 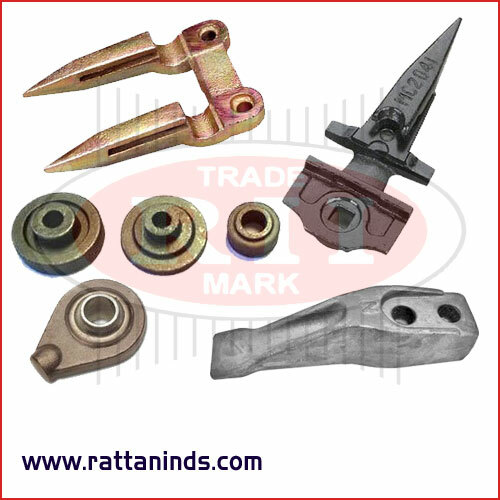 All consist of a threaded end, to which a nut and washer can be attached for the external load. 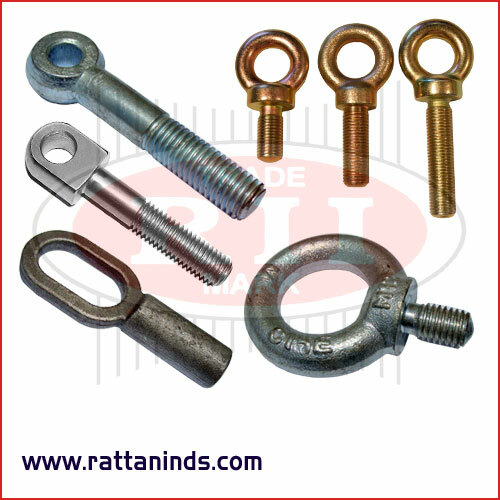 we are well equipped and have almost all the in-house facilities for the manufacture of High Tensile bolts, Stainless Steel Bolts, Alloy Steel Bolts Fasteners. We also offer customized sizes bolts to the clients. 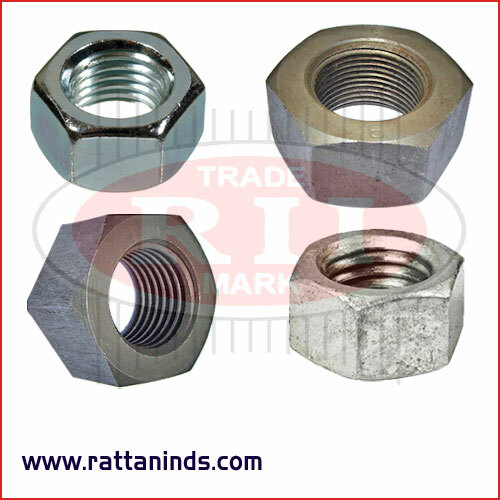 A product range incorporating hexagon head nuts, heavy hex nuts, wheel nuts, hexagon head set screws, nylon insert lock nuts, dome nuts, nylock nuts etc. We offer significant stocks across our high tensile nuts range, covering metric, imperial, in all grades, sizes. We manufacture of special grade Bolts and Nuts for these road crash barriers. 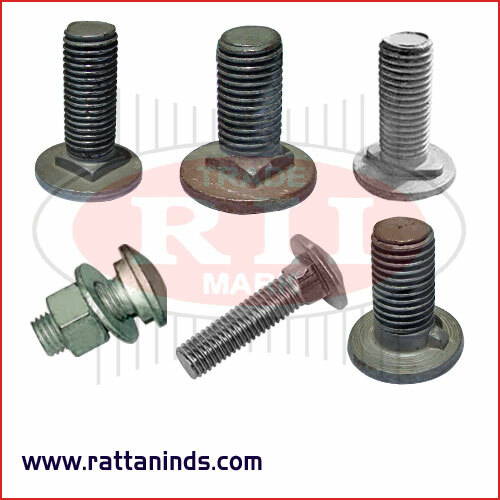 We is manufactures of Nib Bolts and Button Head Bolts which provides strong connection to the Crash Barriers. 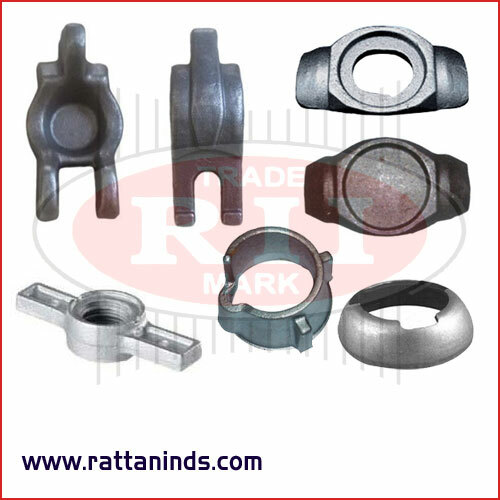 Rattan Industries are the manufacturers and exporters of Forged Automobile Parts, Forged Auto Parts etc. 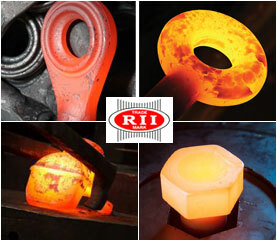 Our Forging automobile and automotive products range includesYokes, Flanges, engine parts etc. 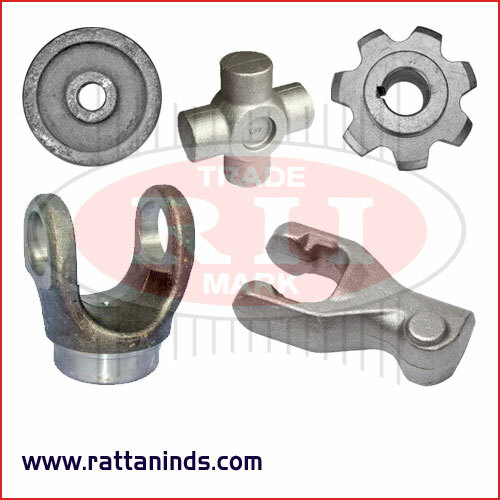 Rattan Industries are the manufacturers and exporters of Forged Agriculture Parts and Forging Tractor Parts etc. Our Forging Agriculture products range includes forged harvester fingers, Forged Combine Parts and Agriculture components. Our product range includes products like Forged Parts, Forged Pipe Fittings, Forged Scaffoldings, Forged Tractor Parts, Forged Valves,Flanges, Non-Ferrous Components, Agriculture Parts etc. 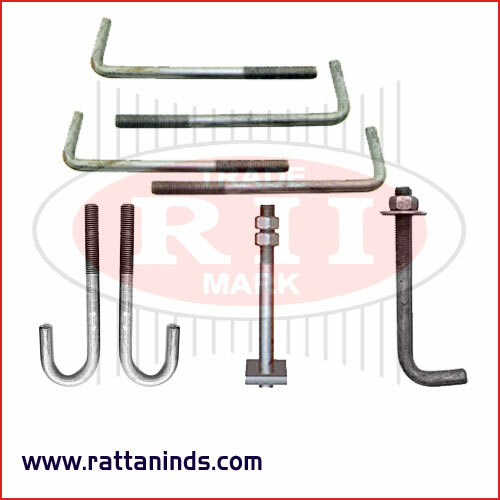 Rattan Industries (India) are the manufacturers and exporters of all thread rods, threaded bars, coil rods, metric rods in different type of finishes like Zinc, Black, Hot Dip Galvanized and sizes. 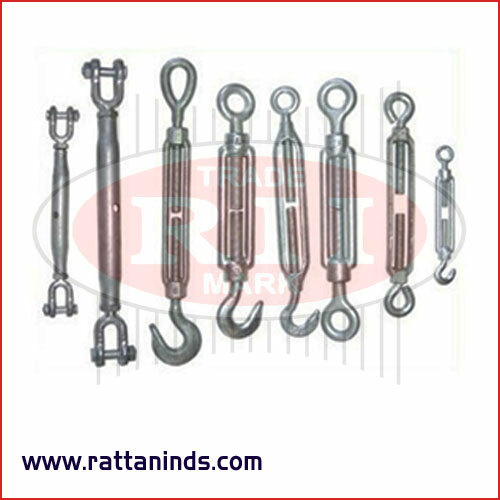 Rattan Industries are the manufacturers and exporters of Forged Scaffoldings, Forged Couplers, Forged Cuplock Systems, Forged Formwork Accessories, Top Cup, Bottom Cup, Wings, Ledger Blade etc. You can also download our breif catalogue with information about Rattan Industries (India) company profile, forging products range, quality certifications, manufacturing process, export clients and contact information etc.